Want to spend more time on Florida beaches? 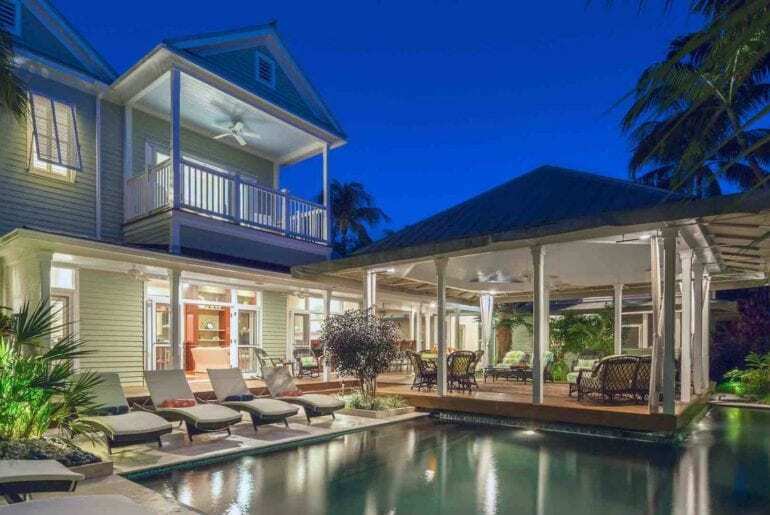 Tucked away in the most exclusive community of Old Town Key West lies your next favorite Key West rental. 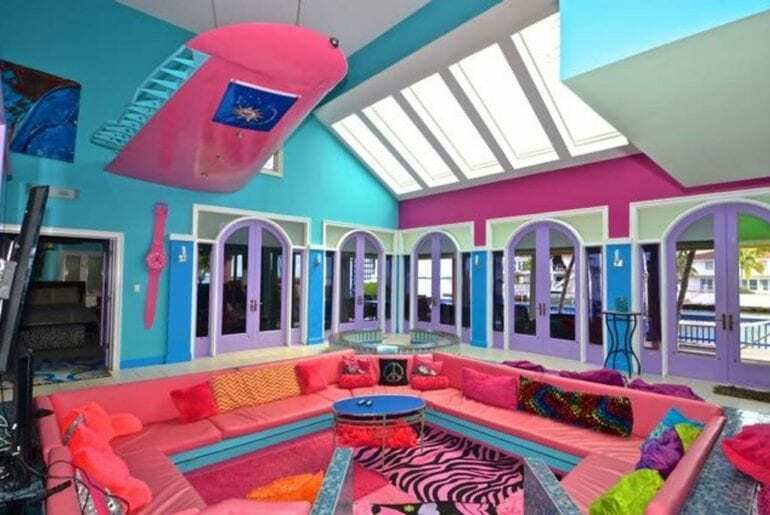 Noonas Mansion is Key West beach home dream that features its own guesthouse and gourmet kitchen. Spend your afternoons in the tropical, lagoon-styled yard next to a waterfall-lined pool. 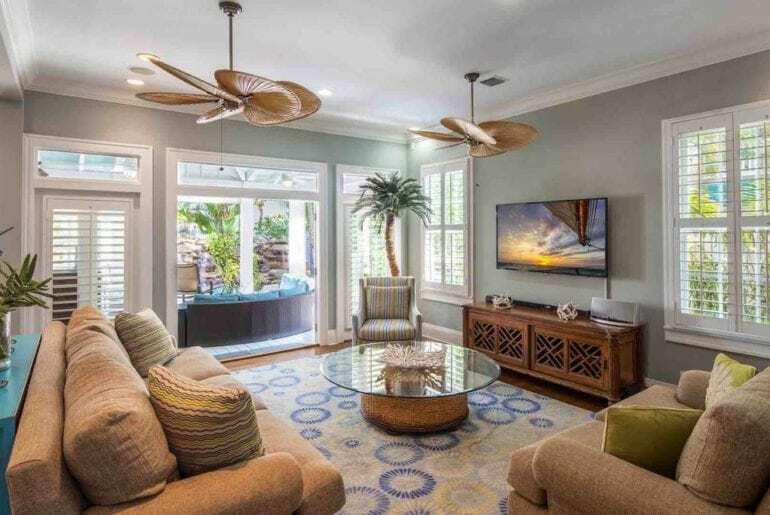 Take a break from the sun in the living room with 10-foot high scissor doors that let the sea breeze in. Paradise can be yours for $1278/night! Just a few blocks away from Smathers Beach, La Vie En Rose can be your “world apart” for $411/night! Bold colors and vibrant patterns liven up this quiet neighborhood. Let the outside in with three French doors that open up to the private pool and patio. Get the most out of your Key West beach vacation! 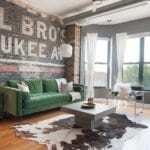 For $1061/night, you and your friends can rent the actual house featured in the 17th season of MTV’s Real World. This newly-updated ten bedroom mansion functions as a mini-retreat for over sixteen guests. 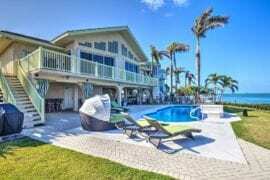 With the massive wrap-around deck, private pool, indoor hot tub, private gym, boat dock, and racket ball court, you’ll find out what happens when friends travel to Key West and get real! Named for the Roman God of the Sea, you’ll love looking out over the Atlantic on the wrap-around balcony of Neptune’s Penthouse. For the shockingly low price of $334/night, spend your day at the complex’s on-site beach and community pool. After watching the sun set from your living room, take an evening stroll to some of the best restaurants Key West has to offer! Taking up an entire block in a gated community of the Truman Annex, this luxurious estate is just a short bike ride away from Fort Zachary Taylor Park. 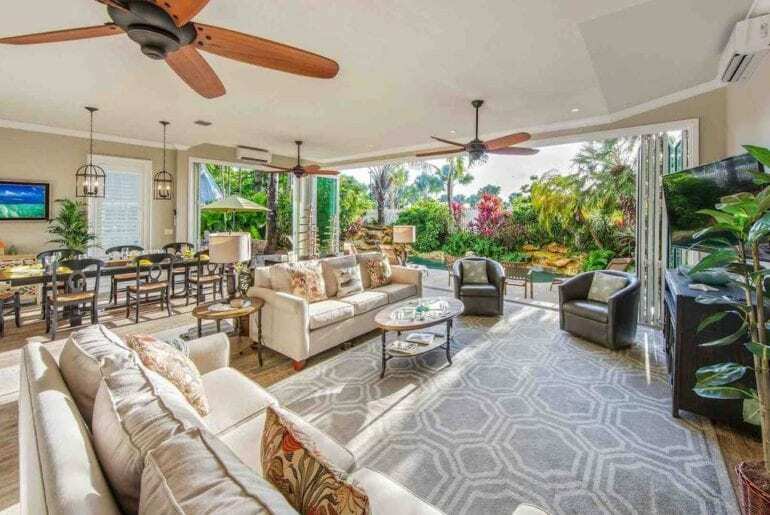 Because of the large French doors and wide windows, Plantation Tropicale is naturally well-lit, allowing the sun to bounce off the softly colored and patterned walls. For $1955/night, you can lounge in paradise under the poolside, pavillion porch. Have you ever wondered what it would feel like to live on a private island? Well, wonder no more! 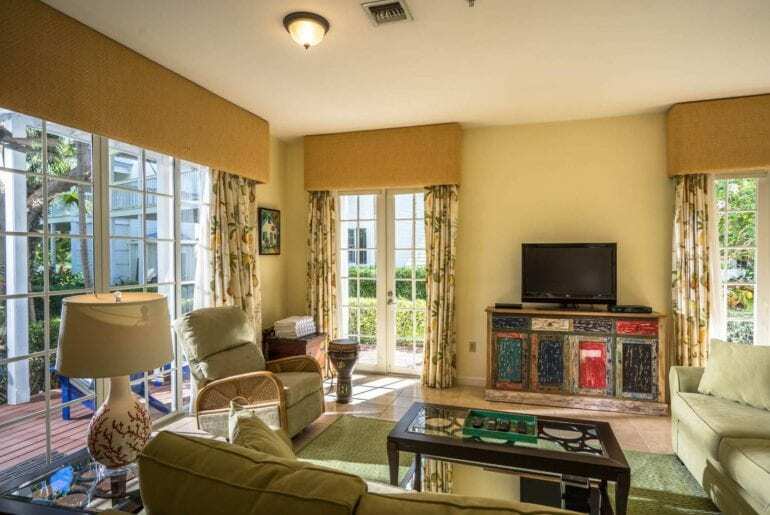 For $317/night, you can explore the gorgeous beaches of Sunset Key all day, then come back to this elegant, two bedroom for a quick dip in the pool and a home-cooked meal. Do you prefer coming home to a quiet neighborhood, but still want to be near all the action? 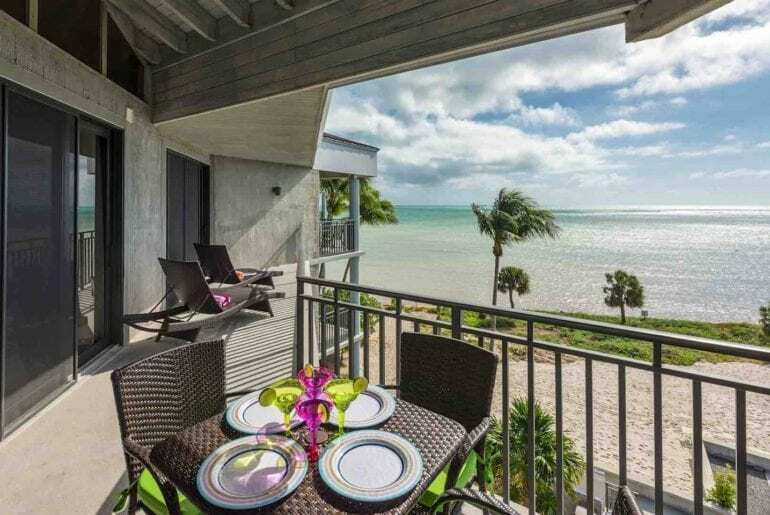 Then Avalynn House is the perfect Key West property at $1075/night! Since Fort Zachary Taylor Park around the corner, you can walk or bike to the beach. 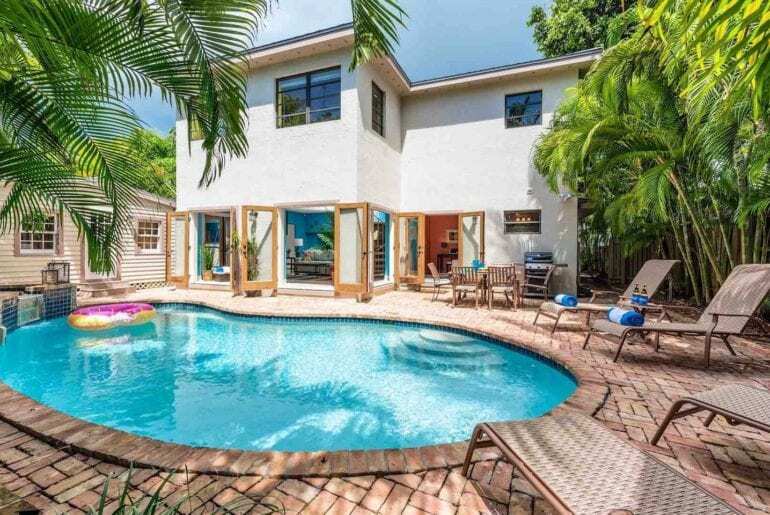 And with Duval Street two blocks away, this contemporary-styled five bedroom doesn’t make you compromise. You’ll come for the adventures, but stay for the high ceilings, gorgeous patio, and one-of-a-kind artwork. Just a block away from Higgs Beach, Villa Moderna fulfills your millionaire dreams for $657/night! This simple but luxurious vacation home is the epitome of cool. 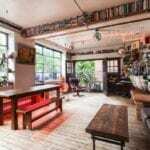 Featuring upscale, contemporary interior designs and futuristic Euro doors that open up to an oasis-like gardens, this home is your Insta-Influencer dream-come-true!